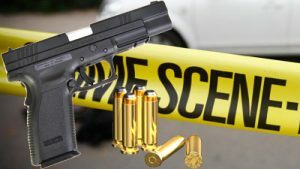 Three people were killed and six wounded in a shoot-out at an apartment block near Durban’s High Court on Monday, South African police and medics said. “There was shooting and three persons are deceased, one of them is a Metro policeman,” police spokeswoman Thembeka Mbele, told AFP. The other fatalities were two women who have yet to be identified. Garrith Jamieson, operations director with Rescue Care Emergency Services said five of the six wounded required hospital treatment. When the medics arrived at the scene, they saw a “bloodbath, it was apparently a mess,” said Jamieson. The shooting occurred on the first floor of a block of apartments situated near the city’s High Court. Last November, an off-duty policeman opened fire inside a divorce court in the same city, killing his estranged wife and her brother during a break in legal proceedings. That incident occurred on the eighth floor of the regional magistrate’s building as the court heard a petition to annul the couple’s marriage. The post Three killed, 6 wounded in shooting near Durban court appeared first on SABC News – Breaking news, special reports, world, business, sport coverage of all South African current events. Africa's news leader..